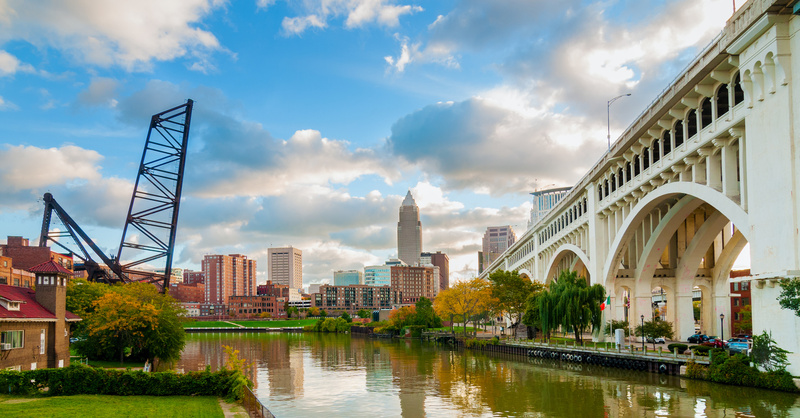 While our numerous Cleveland warehouse and distribution services can satisfy a diverse range of needs for our clients, one particular service we’d like to highlight is our Cleveland cross-docking. Cross-docking is an essential asset to many industries utilizing container transport services and our Cleveland cross-docking facility can help streamline and simplify your shipping. In a moment we’ll outline what makes our Cleveland cross-docking warehouse stand out, but let’s first focus on what the procedure entails. Cross-docking is a process which allows a manufacturing plant or supplier to distribute goods to a customer or a business with a limited amount of handling and storage time. This process is accomplished in a docking terminal, like that found in our Cleveland cross-docking facility. An inbound truck or trailer will enter the facility and be directed to an inbound dock within the terminal. An outbound mode of transportation will be waiting nearby within the same terminal. Inbound shipments can then be unloaded, organized and classified to determine their end location. Using a pallet truck, forklift, conveyor belt or other transportation means, the goods reach the outbound dock and accompanying outbound mode of transportation at which point they leave the facility and are on their way to their final destinations. When is it Appropriate to Utilize Cross-Docking? The transport of items that rely upon a set temperature to be maintained from their point of origin to their destination, such as during the shipment of particular foods. A quick, efficient transfer of goods from one mean of conveyance to another is extremely beneficial. The transport of goods which have been previously packaged and sorted and are ready for delivery to a customer. The distribution of these products becomes much more efficient by utilizing cross-docking. Speed – World Distribution Services’ cross-docking helps to increase the rate of goods to market, streamlining the transport of your vital products. Due to the speed and efficiency of the process, less inventory handling is also likely, which in turn helps ensure your products will arrive intact for your customers. Real-time Status Updates – Because we take accountability very seriously as part of our Cleveland cross-docking services, we provide real-time shipment statuses and shipment activity records. Cost Reduction – Due to the streamlining that comes about from utilizing cross-docking, companies are able to reduce the labor costs associated with product handling, the costs associated with inventory storage, and the costs associated with warehousing. As you can see, there are great benefits in store when you utilize cross-docking at our Cleveland-based facility. If you have further questions about our procedures or are interested in partnering with us, reach out to a member of our team today!